We thank the Lord our God who allowed us, in the two previous months, to celebrate His appearance in the flesh as man and His manifestation as God coming to save us. After Jesus has fulfilled His plan of salvation by dying on the cross and rising from the dead, and after He ascended in the flesh to heaven from whence He had descended, sitting on the right hand of the Father, He prayed the Father to send the Holy Spirit to dwell in the hearts of each of us. Everyone who desires this and wants the Spirit to dwell in him does this so that Jesus may appear to him, and also that he might be reminded of the Lord’s sayings and teachings. The Holy Spirit shows us Jesus Christ, at first in the Church, which is His Body and which He wanted to be “a glorious church, with neither stains, wrinkles, nor any such thing” (Eph. 5: 27). It also makes Him present in the Church through the word of His Gospel, in the Body and Blood of His Eucharist, in His meeting with His brothers who gathered in His Name, as well as in every human being – especially in the poor, the homeless and the broken hearted, in whom He accepted to dwell. The Holy Spirit reveals Jesus wherever it dawns, making Him present yet veiled in all religions and all cultures. We approach these Holy and Blessed Feasts as we witness the crucial events our Antiochian Church has gone through recently, first and foremost with the departure of our Father, Patriarch Ignatius IVth who ministered the Church with patience and faithfulness for several decades. His memory shall remain alive in our minds and hearts, and shall be eternal before the Lord Whom he served all his life. At this time, our Church and our people are experiencing dramatic situations caused by violence and troubles shaking our region. The Holy Spirit has willed that I be elected by my brothers, the members of the Holy Synod, to succeed this great Minister, in spite of my unworthiness. However, I rely on God and on you, my brothers and children of my Church, and this shall make me expect, with great hope, divine help, which will enable us to overcome these hard tests and look for a better future. In the midst of these events, you have left in my heart the feeling that you have lived in this period as the people of the living God; you have expressed this reality in three responses: You were deeply moved at the departure of our great Patriarch; You maintained your fasting, prayers and hope before the elections; and finally you showed joy, exultation and peace after the elections. For all these three responses and your care, allow me to express my deep thanks to you, convey my pride in you and my steadfast hope in the one body of our Church. Behold, the Child Who is coming to us in the cave to die for us; is reminding us that He is with us, talking to us, and entrusting us with conveying the message of peace and love, which He addressed to each and every one of us and to the whole world. He is coming to us as a humble one, knocking at the door of our heart with gentility as if He wanted to be born in it. The feast of Nativity is not a mere remembrance of Jesus’ birth in a cradle from the Virgin Mother of God; it was meant to be the feast of His birth in us, a birth that can only occur if we seek the purity that distinguished the Virgin Mary. The Birth of Jesus in us will invite us to renew our commitment to His teachings, and our struggle to become His unblemished Church, a Church that is free of weaknesses, pure in everything, and shining with the Holy Spirit. Together we shall be aware that the Church of Christ is our mother, and that the shepherds and the believers are called to be Christ’s messengers inviting their brethren in the world to reconciliation and to the rejection of violence so that His peace may prevail. The world will not be convinced unless it feels that it is much loved by the followers of Jesus and that they are its servants. The Church is our mother. Each and every one of you is important and has a unique position in it. You have the right to be ministered by its shepherds. All ministers, at all ranks, should go out to you, listen to you, to your problems, and should seek to help you and answer all your crucial questions. You have the right, as believers who submitted themselves to the Word of God and sought to be like Him in everything, that you be included in consultations and the resolution of its issues; all the children together with the father, are supposed to keep vigilance for the future under God of the family. We approach this feast as many of the children of our Church are displaced, away from their homes, enduring much suffering. Our duty as brothers and sisters is to support them and give them consolation, not only with money and necessary material help, but also by showing them care, love and compassion. We approach the feast as our people are facing many changes and challenges in a world that is departing increasingly from traditional concepts, making violence, consumption and possession a new law for this life. Needless to say, the luxury with which we celebrate this feast, the feast of the poverty of Bethlehem, is a clear sign that we, also, have adopted this law in the conduct of our lives. 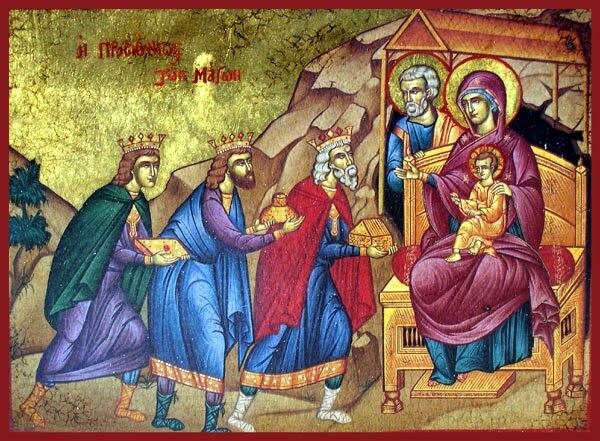 As we are accustomed to exchange gifts in the manner of the kings who visited the Lord Jesus at His birth, let us express our love to the Divine Child, coming to us, by feeding the hungry, visiting the sick, offering a shelter to the homeless and doing whatever we can do. We approach this feast as many in our countries are asking what might happen to them. Brethren, the Child of the cave is saying to us: “Do not fear, I am with you. Do not fear because your brothers and sisters are called to help one another and support one another. Do not fear because you are the people of this region, in which God willed you to be born since ancient times. Do not fear, because you have in it many brethren who believe in love and peaceful co-existence. We celebrate this feast with our other Christian brethren. We pray to God that he may give us to deepen our dialogue with them all, in order to reach the unity God desires, the unity without which the world will not believe that Jesus was sent by God. Let us also celebrate with our Muslim brethren who look highly at Jesus Christ and confess his birth from the Virgin Mary according to the will of God. This feast is in common with them if we know how to make with them a dialogue of life and co-existence on the notions that bring us together in our religion and in our world. Brothers and Sisters, bow down before the Child of the cradle who willed to dwell in you. I cannot but think here of our children who are awaiting us all over the world, our children in the Arab Gulf, Europe, Australia and the Americas. You are in my heart since I met you during my journeys and during my ministry of your churches. You are a real expression of the apostolic spirit of Antioch in the countries in which you are living. Your love for Antioch and the faith you are living makes me feel, more than ever, the necessity of working together in the service of the Church and of offering a living witness to our unity and love. Thus we become true witnesses to the Lord in the world, and thus our Antiochian Church becomes faithful to its history which shines with the light of the martyrs and the saints. We have no other way but holiness, which makes everything possible. I send to you the apostolic blessing assuring you that I carry each and every one of you in my heart, asking God to make me His faithful servant in you and to enable us to work together so that God may be glorified in the humanity he loved and in the Church which carries His name in this world. Addressed from the Patriarchal residence in Damascus. At the Beginning, His Beatitude said a prayer for all the children of the Antiochian Church in the East and in the countries of the diaspora. It is a genuine eastern church. It is the Church of the East. 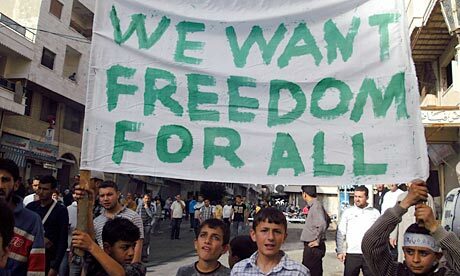 It is deeply rooted in its countries, especially in Syria and Lebanon, extending at the same time to the whole world. It is the church of everybody. It gives everyone the light of its civilization. It belongs to all human beings. We exist in the East and we shall stay there. We believe that the face of Christ will not disappear in this region, in which Christianity begun. The Church of Antioch offered martyrs, as well as civilization, heritage and tradition. We have always been the children of our nation and we shall remain here. We are full of hope that what our beloved nation is going through will have an end. We call for dialogue. Through common dialogue and the acceptance of the other we cross ways. Religion binds us to our Lord, and with our brother. To believe in the Lord is to open up to the other with love and truthfulness. His Beatitude affirmed that the Christians are not a part in the conflict. They will play a role in resolving the problems. They face difficulties like others. The Church shall make every effort to help the needy, the poor and the suffering. 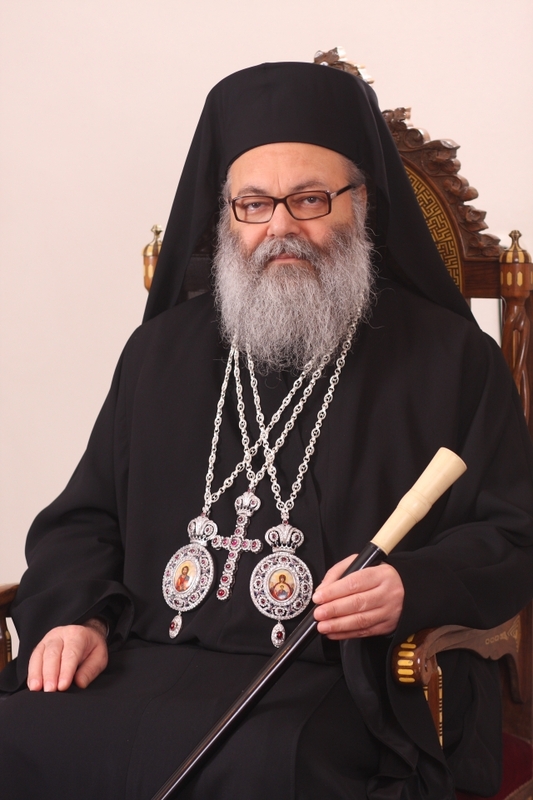 The tasks of the Patriarch are spiritual and administrative. He is the father in the family – church, and in the nation, which is the larger family. We need a spiritual revival aiming at renewing the mind and the heart. We need an administrative revival as well as a revival in the media. We will give our schools, the University of Balamand as well as all other institutions special care. Ministry is the aim of these institutions. Ministry is at the heart of our mission and our work in the Church. It is the perspective through which we look at all other charity and institutional works. His Beatitude Patriarch John 10th (Yazigi) was born in Lattakia, a town on the Mediterranean coast of Northern Syria. He grew up in a household atmosphere of faith, prayer and education. His father, the late Manah Yazigi, a Syrian teacher of Arabic language, was a poet. His mother Rose Moussi is a devout Lebanese woman. In their pious home, Manah and Rose raised a family of four children, two boys and two girls. Raising their children in the faith and educating them in the virtues yielded much fruits. Their children were dedicated to the service of the Church: one became the Patriarch of Antioch, the other a Metropolitan, and another joined a convent as a nun. His Beatitude studied in the city schools and graduated with high honors. He earned a Bachelor in Civil Engineering from the University of Teshreen. During his studies, he played a key role with the youth and established several youth programs, thus becoming a well known youth leader. Since he excelled in Byzantine Music, he set up a Byzantine Music School and formed several choirs. By the grace of God, his work led to a great spiritual revival among his generation. In 1978, His Beatitude graduated from the St. John of Damascus Institute of Theology, University of Balamand, with a Bachelor in Theology. 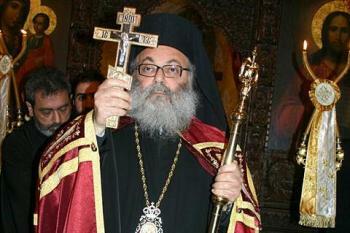 In 1983, he earned with high honors his doctoral degree in Liturgics from the University of Thessaloniki, Greece. The tile of his thesis published in Greek is: “The Service of Holy Baptism: An Historical, Theological, and Liturgical Study.” In 1981, and simultaneously with his doctoral studies, His Beatitude successfully earned a Diploma in Byzantine Music issued by the Conservatory of Byzantine Music in Thessaloniki, Greece. 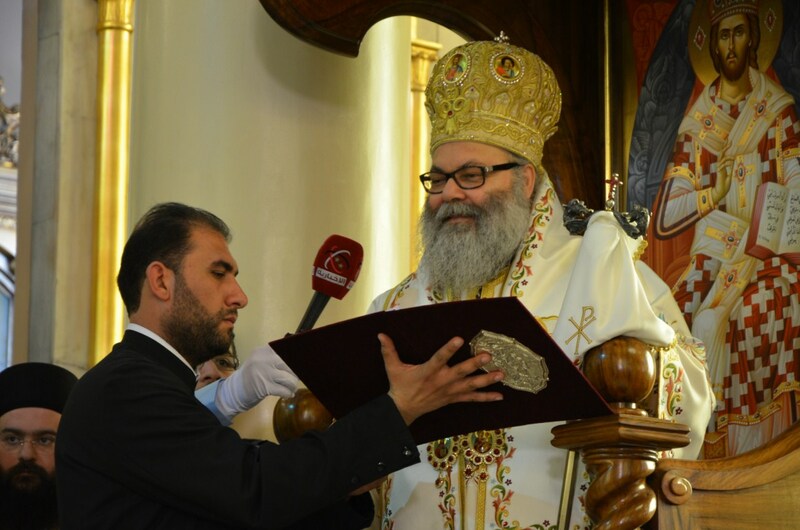 His Beatitude was ordained a deacon in 1979 and a priest in 1983, by the laying on of hands of His Eminence Metropolitan John Mansour of the Archdiocese of Lattakia where he initially served. Since 1981, His Beatitude became the Professor of Liturgical Studies at the St. John of Damascus Institute of Theology at Balamand. During the periods of 1988-1991 and 2001-2005 he served as the Dean of the Institute of Theology. In the years 2001-2005, His Beatitude became the abbot of the Our Lady of Balamand Patriarchal Monastery, Lebanon. 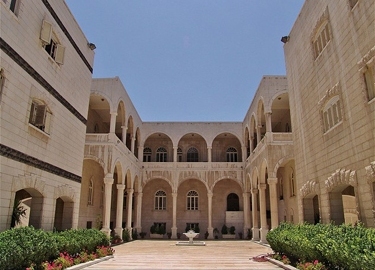 He was also appointed abbot of the St. George Al Humayrah Patriarchal Monastery, Syria, in the period of 1993- 2005, where he founded a monastic community and a school of ecclesiastic studies for the Patriarchate. In addition, His Beatitude contributed to the foundation of the Convent of our Lady of Blemmana in Tartous, Syria. In 1995, the Holy Synod of Antioch elected him as the Bishop of Pyrgou, an area called in Arabic Wadi An-Nasara or Al-Hosn, in the Archdiocese of Akkar.. He faithfully served the parishes there till 2008, when was elected Metropolitan of Europe. 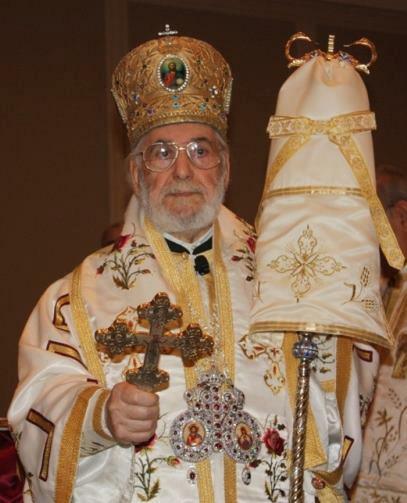 On December 17, 2012, the Holy Synod of Antioch elected John Yazigi as the Patriarch of the Holy and Apostolic See of Antioch. In addition to his pastoral ministry, His Beatitude was involved in many worldwide activities in the ecumenical, Christian and especially Orthodox Christian spheres. He participated in many international conferences, namely in Greece, Italy, Switzerland, Cyprus, United States of America, Russia, and the United Kingdom. Patriarch JOHN X is well known for his insightful leadership and his clear vision. He has expressed his vision about various national, ecumenical, international and humanitarian issues through several international conferences and church and national gatherings. His Beatitude uses fairness and truthfulness as keys to all solutions. As a shepherd, he works on gathering the flock, and calls for reconciliation and dialogue among all people and parties, both nationally and internationally. His Beatitude’s personal characteristics are summarized in having good manners, notable interpersonal and listening skills, and his ever-readiness to serve with much dedication and integrity. Throughout his priestly ministry, His Beatitude’s active presence has led to a notable Church revival. He has succeeded to be close to the youth, calling them to serve the Church and to be active in their society and nation. His Beatitude is also known for his strong administrative, institutional and team work skills. 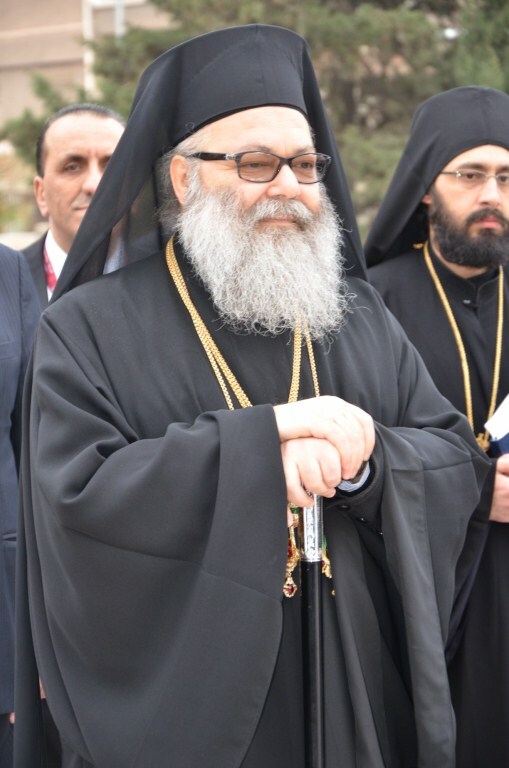 He has played an effective role in encouraging priestly vocations, and a leading role in the development of the St John of Damascus Institute of Theology at the University of Balamand. Patriarch JOHN X is the author of several books on theology, education, Byzantine music, and liturgy. He edited the liturgical books of the Orthodox Church in Arabic, and more specifically the liturgical books of the archbishops, priests, deacons. 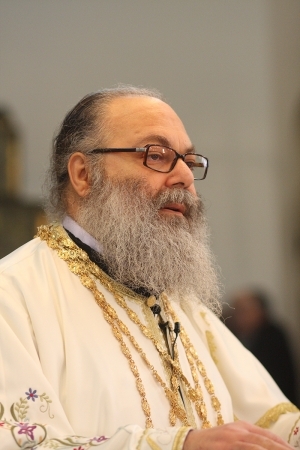 Some of his main published works are: The Service of Baptism: A Historic, Theological and Liturgical Study, Thessalonica, 1983 [Greek] (His PhD Thesis); Principles of Byzantine Music, Balamand, 1990, Second Edition 2001; The Life of St. Nectarios the Wonderworker, Lattakya, 1990; Priesthood & Marriage of Priests, Lattakya, 1992; Baptism as a Sacrament of Initiation into the life in Christ, Lattakya, 1992; The Liturgikon, St. George Al-Humayrah Patriarchal Monastery, 2001, Second edition 2005; The Divine Liturgy of St. John Chrysostom, Al-Humayrah Patriarchal Monastery, 2001; The Archieratikon, Our Lady of Blemanna Convent, 2007; The Deacon Service Book, Our Lady of Blemanna Convent, 2007; Church Consecration Service, Archdiocese of Europe, 2011; Liturgical Series (Six Volumes), St. John of Damascus Institute of Theology, 2001-2004. In addition, he translated several books, namely: The life of Our Holy Righteous Mother Makrina, by St. Gregory of Nyssa, An-Nour Publications, 1984; For Those Who Believe in Justification by Works, by St. Mark the Monk, Chapters in Prayers and Spiritual Life, Patristic Series, An-Nour, 1990. His Beatitude also gave many lectures and participated in several international conferences in different universities churches and institutes, as follows: St Paul and the Antiochian Church, Conference on St Paul, Virea, Greece, 2007; Eucharist in the Byzantine Liturgy, A Conference on Liturgics, the Holy Sprit University, Kaslik, 2004; The Church and Sacraments, An International Conference on the meaning of the Church from an Orthodox perspective, Moscow, 2003; The Unmerceneries Healers of the Church. 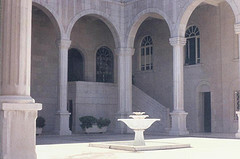 A Lecture in the occasion of the 125th Anniversary of the St. George Hospital, Beirut, 2002; The Church in the Middle East, University of Oxford, Cambridge, 2002. Meditations on the Meaning of the Church from an Eastern Theological Perspective, The Institute for Orthodox Studies Cambridge, 2002; Antioch: Its Theology and Pastoral Care, A Lecture in the occasion of the Annual priestly convention of the Antiochian Christian Archdiocese of North America, Pennsylvania, 2002; The Mystery of Repentance, Conference on Eastern Liturgics, Holy Spirit University – Kaslik, 2002; The Hymnographic Contribution of the Antiochian Orthodox Church to the Liturgy During the Sixth and Seventh Centuries. Conference on the Specificity of the Church of Antioch, University of Balamand, 1999. John X came to us as a shepherd for Antioch, reflecting the tenth chapter of the Gospel of John that tells us about the Good Shepherd who knows the voice of His sheep. I got to know him through his writings as Metropolitan of Western Europe. Together we experienced harmony and difference. It was a profound encounter, in love of service to the Church. Today the Holy Spirit gave him an appointment with history in motion. His election is a message of light in the darkness of the time and of hope for the resurgence of a renewed Antioch. The process of his election was neither lengthy nor complicated. It was completed in peace and simplicity, with neither hesitation nor haste. There was no lack of concern for the Church’s unity. Perhaps the fathers of the Synod deeply realized the danger of the situation and the need for being ready for challenges. The very Church is at stake if stagnant waters do not stir with “churchly” intelligence so that we might bring back the activity of linking, connection, and leadership in the Middle East. In the Church today there are harmonies and contradictions, revelations and flabbiness, purity and questions, and much that has piled up. The new patriarch, who has experienced both the West and the East, completely realizes the challenges and that the world is changing around us, East and West, radically and rapidly. Globalization, which has both positive and negative aspects, has conquered every place. “Progressive” materialism submits all values and standards to change and questioning. The Arab Middle East is flailing about and living through a phase of great transformation. A whole series of exceptional events require a critical reading, a demonstration of vision, and an exceptional road-map for the Church, so that we as Orthodox may be active within her and not divided and passive. Five major ecclesial and national challenges stand before us in order for us to rise from “maintaining existence” to “active presence.” First of all the challenge of evangelism and renewed pastoral care so that the Church can be in a state of faithful dynamism that speaks to contemporary man and modernity with the language of living faith and not a state of social and cultural nostalgia that revives traditions whose spiritual meaning is lost on new generations. The Gospel is a spiritual radicalism that must be intelligently centered on society in order to build it up. Otherwise it becomes a worldly ideology subject to failure. Then, secondly, the challenge of Antiochian unity, since we do not want merely a slogan but rather effective frameworks for cooperation, coordination, and shared activity between the dioceses, which must be aware that they are members of a single body. Then, thirdly, the logic of service must outweigh the logic of authority, since the Church is not a “pyramid” of authority with a head and a base, decider and implementers. She is a communion of believers who gather together like a ring of links that is consultative and collegial, as rings of charisms, around their patriarch with the bishops in their middle, together taking part in crafting their present reality and future in the Church, exactly as Christ stood in the middle of the disciples after His resurrection. The fourth challenge is the sound institutional basis of the Church: canons, departments, research workshops, planning for the framework for services and collaboration, the launching point for the dynamism of the extensive Antiochian Orthodox conference, etc., so that the work of the Church can be coordinated, programmatic, transparent, and universal. At that point, the initiative will be in the hands of the Church instead of being in the hands of Orthodox groups and individuals with their own agendas. Finally, the Church must distance herself from politicization and make herself into a place of encounter, dialogue, and initiative for supporting national cohesion and cooperation in our Middle Eastern societies. So let us as Orthodox work to take her out of the logic of sectarianism, minoritarianism, isolationism and into the logic of openness, citizenship, the rule of law, freedoms, and equality. The initiative today and every day is in the patriarch’s hands, since in our Church he is the first bishop among equals, the point of demonstrating unity, the meeting-point of all for consultation, and the starting-point for energetic activity. He is the location of comprehensive catholicity and he wears its symbol, two pectoral icons and a cross. John X, you are the one chosen to be father, leader, inspirer, organizer, motivator, and facilitator between the Orthodox of Antioch and their surroundings as well as with the Orthodox churches, other Christians, other religions, and the entirety of the world today. You have your date with history in the Church of Antioch and with the face of the Lord in her, and from her to the ends of the earth. 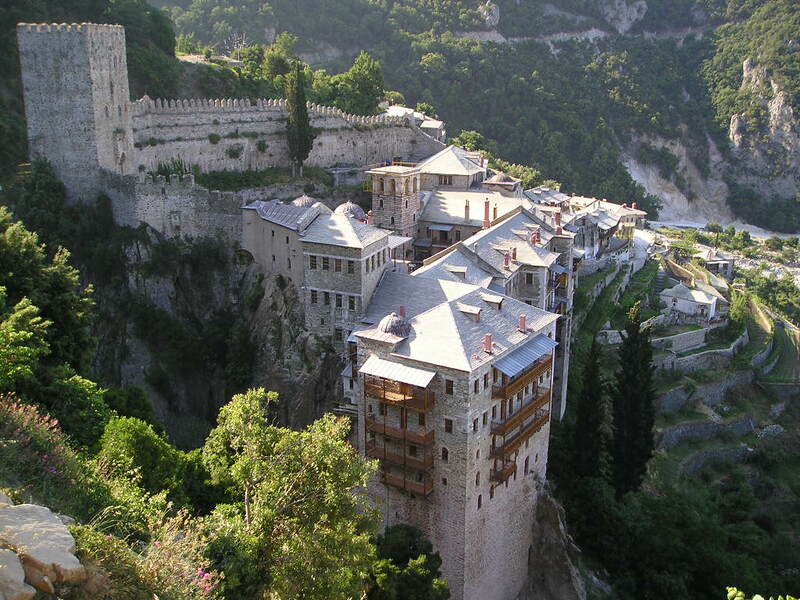 Archimandrite Parthenios is the abbot of the monastery of St. Paul on Mount Athos. He is also the spiritual father of Metropolitan Ephrem Kyriakos of Tripoli. The monks of Mount Athos greatly rejoiced to hear the news of your election as patriarch of the third-ranking patriarchate of the Eastern Orthodox Church. Answering your invitation, they decided to participate in this joy of the Church of Antioch and so they sent my humble person, despite my old age. You have been well-known to the monks of the Holy Mountain for more than thirty years, when you finished your theological studies in Thessalonica and lived in our monastery, the Monastery of the Holy Apostle Paul for two years, with the blessing of His Eminence Metropolitan John of Lattakia. You received the monastic schema in our monastery from my hands. We remember your meekness, humility, and tranquility. In the days you passed at the monastery in order to learn the principles, you were a model for the monks and fathers of the monastery. The virtues and talents with which the Lord Jesus Christ crowned you raised you up to the episcopate eight years ago. Then, after the departure of Patriarch Ignatius of thrice-blessed memory, the fathers of the Holy Synod valued your pastoral experience during these years and elected you patriarch. Today at this celebration of the Church, they hand over to you a throne that has been adorned by great saints like Ignatius the God-bearer, Meletius, and Peter, people who made firm the faith in difficult circumstances. We join our prayers to the prayers of these saints, that the Lord God will show you to be worthy of the trust you have been granted by your brother hierarchs. May He grant you the strength to work for the Church as your predecessors worked, that you may be worthy with them of the kingdom of heaven. In humility I call out to you, worthy, worthy, worthy. 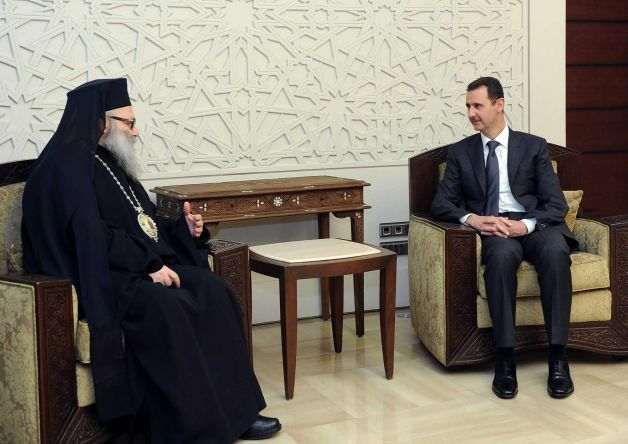 DAMASCUS, (SANA) – President Bashar al-Assad on Monday received Patriarch John X Yazigi, Greek Orthodox Patriarch of Antioch and All the East. President al-Assad congratulated Patriarch Yazigi on his inauguration as Patriarch of Antioch and All the East, wishing him luck in his new position and lauding the historic role of the Orthodox Church in spreading messages of amity, good and tolerance in the world in general and in Syria in particular. 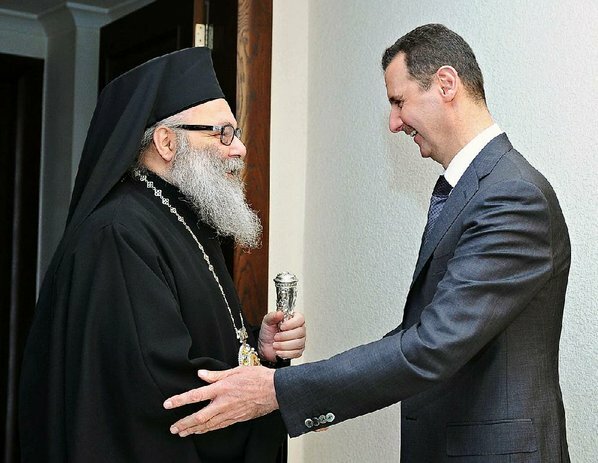 President al-Assad lauded the high national sense of the Orthodox Church and its essential role in consecrating national unity in the face of the attack targeting Syria which aims to tear apart the unified Syrian fabric and Syrians’ coexistence values. 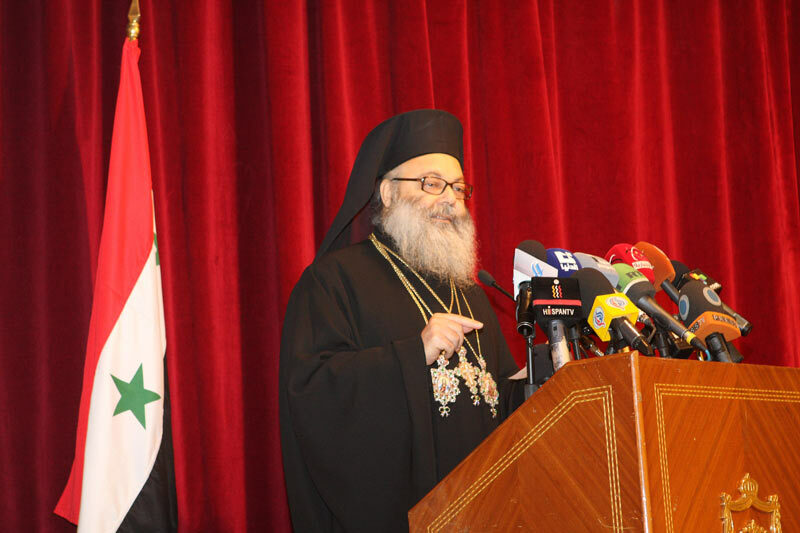 For his part, Patriarch Yazigi voiced strong confidence that Syria will emerge victorious from the current crisis, stressing the importance of Syrians’ adherence to their unity and national standards to reach victory. He wished that security, safety and peace will prevail in Syria so that it may return to being a country of good and amity as it always were and always will be, affirming that all Syrians are one family and the Syrian people are one no matter how difficult the circumstances become. This is taken from an article by Fuad Daaboul in his newspaper al-Anwar. The original context is the late patriarch’s response when Elie Salem, a former minister in the Lebanese government and now president of Balamand University asked him, “Who are we?” With the accession of Patriarch John X, the words of the late Patriarch Ignatius on the question of identity ring loud and clear, as a reminder of the burden of ministry within the ancient Apostolic See of Antioch in this era of immense upheaval. 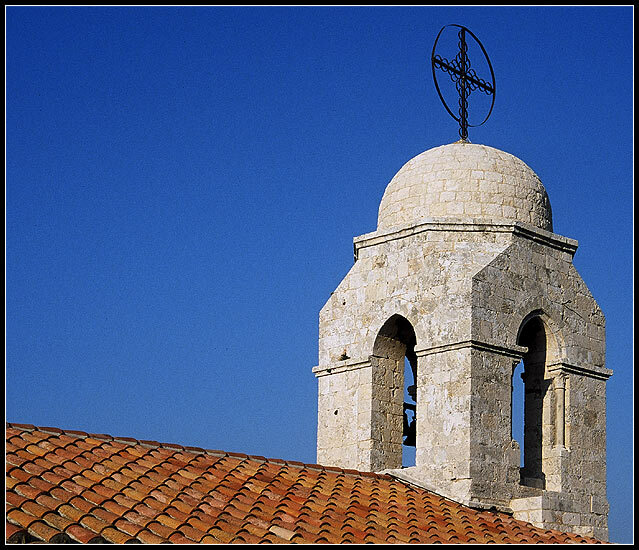 We are Antiochians, the descendants of the original Church that Saint Paul founded. We are the Church of the Middle East, one hundred percent Middle Easterners. Here in the Middle East we are in our home. Our hopes are the hopes of our region. Its tragedies are our tragedies, when there is tragedy. We are the original Christians. The others came to us as guests. We welcome them and work with them, but we do not forget our originality and uniqueness. Certainly, the past has been harsh to us. Empires came, threatened, destroyed, then left. We remained, firm in our faith, humble but proud and daring in our convictions. The Antiochian spirit is an apostolic spirit, leavening like yeast in dough. We are the leaven of this land. We shape the quality and value– we are not quantities. The Antiochian spirit affects man in his capacity as bearer of divine truth and the dwelling place of unlimited and unconditional love. We are Arab Christians. We were here in Palestine, Syria, and Lebanon long before Islam. When the Arabs took over, bringing the message of Islam to this land, we cooperated with them and contributed to building the Arab-Islamic civilization that flourished in the Umayyad era (650-750) and the Abbasid era (750-1257). We were the scientific and intellectual intermediary between them and the Greek world. However, we were not only intermediaries. We also made contributions in various fields. The Arabic language has been our liturgical language for centuries. We played a role in the history of Classical Arabic, just as we played a prominent role in the Arab reform movement that began in the 19th century, following the Ottoman tanzimat reforms. The future of Jerusalem is the future of the Palestinian people and of the Arab Christians who share with them a long past and limitless future. 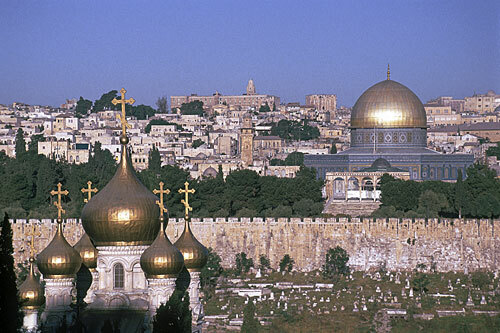 For us, Jerusalem is a symbol of man’s emancipation, despite oppression and crucifixion. Of all the peoples of the earth, we are the people who most belong to Jerusalem. In the most profound sense of the word, Jerusalem is ours. But it languishes under Israeli occupation and because of repression, the number of Jerusalem’s Christians has greatly diminished. The tragedy that is happening in Jerusalem is happening in Palestine as a whole under Zionist occupation. As Orthodox Christians, we do not only bear witness to our own tragedy. We also bear witness to the tragedy of our Muslim brothers in Palestine. The least we can do is to bear witness to truth and justice, the two universal values that are being violated in Palestine.